Foreign-born Latinos have a more positive attitude about the census than U.S.-born Latinos, according to a new Pew Hispanic Research poll. Foreign-born Latinos are more knowledgeable and have a more positive attitude about the census than U.S.-born Latinos, according to a new Pew Hispanic Research poll released Thursday. Among foreign-born Latinos, 80 percent think that census participation is good for their community, as compared to 57 percent of Latinos born in the United States. Moreover, more foreign-born Latinos know that the census cannot be used to determine legal status (69 percent) than those born here (57 percent). The poll showed that more Latino immigrants know that the Census Bureau cannot give out personal information by 80 percent to 66 percent of native-born Latinos. Ninety-one percent of foreign-born Hispanics say they have returned or plan to return the census forms, compared to 78 percent of Hispanics born here. The findings came as the Census Bureau said more than 50 percent of people overall have sent in their census forms leading up to "Census Day" on Thursday. Leading the way were five central and upper Midwestern states: South Dakota (62 percent), North Dakota (61 percent), Nebraska (60 percent), Iowa (58 percent) and Wisconsin (58 percent). Parts of Alabama, Florida, Mississippi and Louisiana lag behind the rest of the country. The participation rate in Miami, for example, was 38 percent on Tuesday. The Pew Hispanic study seems to show that Spanish-speaking Hispanics have been more exposed to outreach and media campaigns. About six of every 10 Spanish-dominant Hispanics have seen or heard messages about census participation, compared to less than 30 percent of English-dominant Hispanics. In a February congressional hearing on the census, Arturo Vargas, executive director of the National Association of Latino Elected and Appointed Officials, testified that the Census had increased its resources for paid Spanish-language media advertising. But Vargas urged the Census Bureau had invest more in campaigns to reach English-dominant Latinos. But Jost acknowledged that the Census’ own tracking efforts showed that English-speaking Hispanics were not as engaged. In the past two weeks, Jost said, the Census had spent more than half a million dollars in advertising on television shows geared toward English-dominant Hispanics, such as "Ugly Betty" and "The George Lopez Show." In the 2000 census, only 69 percent of Hispanic households participated as compared to 79 percent of non-Hispanic households. 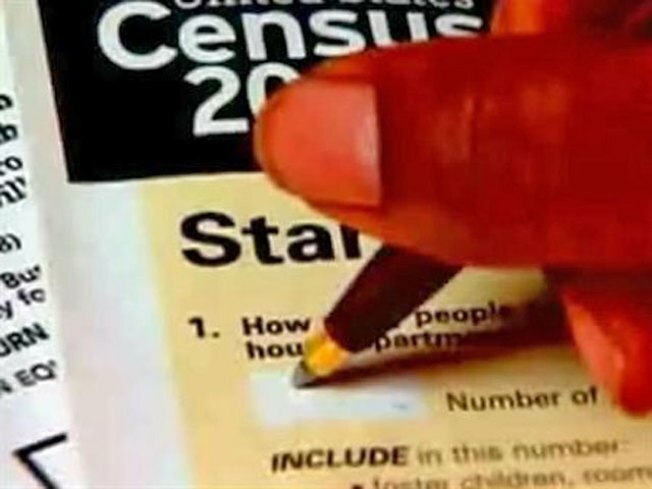 Census officials say they are continuing their outreach campaigns in hopes of a higher rate of participation. “We’re not taking any chances,” Jost added.